A press release can help your small business with many things. Perhaps you’re launching a new product, you’ve just secured the latest round of funding or you’ve taken on a new member of staff. It’s an exciting time and you want to tell the world! But how do you get your press release noticed? Before you put pen to paper, be warned. From a journalist’s perspective, press releases can be the bane of their lives. Salesy, irrelevant, grammatically incoherent releases are sadly the norm. And these days many journalists hit the delete button before they get past the headline. So let’s make sure your press releases don’t suffer the same fate. Check out guest blogger and PR expert James Walter‘s guest blog on how to get your press release noticed! If you come away from this blog with just one thought, it should be this: A journalist is rarely interested in you, your small business or your products. Unless of course, you’re the next Virgin, Google or Microsoft. 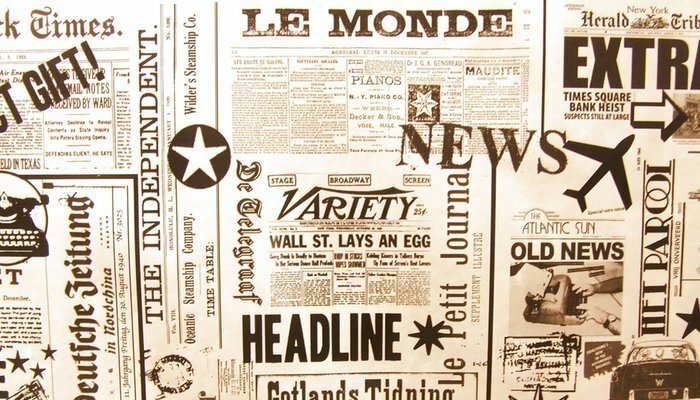 For the rest of us, providing a good story that’s relevant, topical and, if possible, just a little bit different is the way to get your press release noticed. A journalist friend of mine once said: ‘I’m looking for stories that’ll make my readers choke on their breakfasts’ – now I’m sure you won’t take him literally, but you get the drift! Anything other than a good story is a distraction – there’s nothing worse than a release full of sales patter. Terms like ‘leading company,’ ‘unique product,’ ‘cutting edge’ are just some of the jargon nightmares that drive our journalistic friends round the bend. Find out more about how jargon can ruin your small business marketing and how to avoid it. The first step to press release nirvana is a powerful headline. As a rule of thumb, your headline needs to be punchy and factual – it is essentially a one-line summary of your story – but it also needs to draw the reader in, encourage him/her to read on. Many people make the mistake of ‘puffing’ up their headlines and not delivering the story it promises – you need to be interesting and engaging whilst being factual and honest. Also, remember that most editors will create their own headlines based on your release, so don’t try and be too clever with yours. These headlines summarise the essence of the story but don’t dwell on the detail. They tell the facts without glorifying the story or overselling it. The first paragraph is your opportunity to summarise all the key details of your story. Journalists don’t have a lot of time and often base their decision to use a story on the headline and first paragraph, so make them count! As a guide, the first paragraph needs to answer the classic Who, What, Where, When and Why questions – a journalist will be scanning for these, and not providing the information they need only leads to frustration. Quotes are the lifeblood of a release – they inject a personal, emotional element to your story, the human touch so to speak. Quotes need to be memorable and inspirational. They are also a useful way to add further information or explain the reasoning behind some of the information you have provided. People often ask me how many quotes should be included in a release – two is more than enough. There is unlikely to be space for more than two in a news story, so any more is a waste of time and space. If you can fit everything onto one page you’re onto a winner. But that’s not always practically possible. Two pages are really the maximum. Always look for ways to abbreviate and never waffle. For example, journalists don’t mind bullet points. In fact, they can be a great way to summarise factual information or statistics without using up valuable space. Don’t include background information in the main body of a press release. For example, further details about your company, product or service. You can include background info in a ‘boilerplate’ which typically sits under the ‘contact us’ section at the end of a release. The content of a release needs to be relevant to the journalist’s areas of interest, so do your research before putting pen to paper: What kind of stories has the journalist or paper covered in the past? Does your story fit? How is your story relevant to current affairs? Seek out the wider issues and weave these into your story. Always use research to support any claims or opinions made in your release. If you make a statement, you need to be able to back it up, otherwise, you’ll lose credibility. Are you thinking about using PR to boost your small business? Do you think you have an exciting story to tell? Learn more about James and Candid Media below, follow him on Twitter or get in touch with him to discuss your options: t 0131 252 5164, m 07796 445 753 or by email.